A chief economist has conceded that a consumer-pays remuneration model is likely to have a significant adverse impact on competition in the Australian mortgage market. 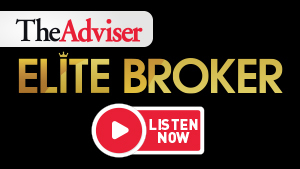 In a recent market update, AMP Capital chief economist Shane Oliver addressed Commissioner Kenneth Hayne’s recommendations in relation to mortgage brokers, saying that the potential introduction of a consumer-pays broker remuneration model is “likely to significantly reduce competition in the mortgage market”, which in turn would be “bad for borrowers”. “They have played a huge roll in injecting competition into the mortgage market by making it possible for small lenders, without a big shopfront presence, to take mortgage business away from the big banks via the mortgage brokers,” Mr Oliver said. Requiring borrowers to pay for the services of a mortgage broker when they are already “cash strapped” is also likely to weaken competition by making advice less accessible. “So, it’s understandable that the government is not so sure about this recommendation,” the AMP Capital chief economist said. Prime Minister Scott Morrison expressed hesitance towards the royal commission’s recommendation to eliminate trailing commission, saying that he doesn’t want the broking sector to “wither on the vine and be strangled by regulation that would throw them out of business… [and] deny choice and competition in the banking system”. “If there is one thing that we have learned through this process, it is that we need more competition. We need more options. We need more choices. Not fewer. And that is what the Treasurer and I are concerned about in terms of how we would go forward on that one recommendation [on broker remuneration],” he told the National Press Gallery. Further, Mr Oliver said that while the final royal commission report does not encourage further tightening in lending standards, it put a “stamp of approval on the Australian Prudential Regulation Authority driven tightening by the banks”. “That is continuing, and there is nothing to suggest it will be reversed even though RBA governor Lowe continues to express concern that it may have gone too far,” the AMP chief economist added. He also suggested that there is “more to go” in moving away from using benchmarks to assess borrower spending patterns, particularly with the comprehensive credit reporting regime underway. “So, with the housing downturn having further to go and the economy slowing, the royal commission relief rally seen in bank share prices may have gone a bit too far, too fast,” Mr Oliver concluded. AMP Capital also announced the appointment of Marsha Beck to its newly created role of managing director Australia, wherein she will head up all the retail and institutional client teams for the Australian region under one role. The position has reportedly been created to bolster resourcing in Australia. AMP Capital’s director for the Asia-Pacific region, Craig Keary, elaborated: “The strong qualities Marsha brings in terms of customer advocacy and engagement with clients will be important as we re-position our Australian business.